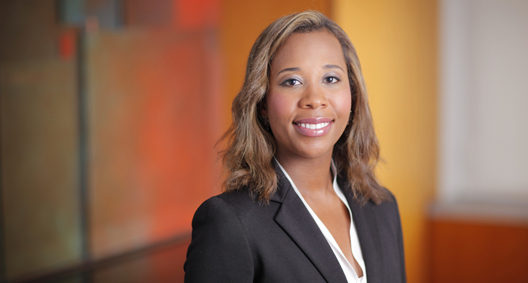 Francesca Perkins Austin focuses her practice on complex commercial litigation and bankruptcy matters. Ever thoughtful of her clients' needs, Francesca utilizes her well-rounded experiences to design individual, creative strategies that address the unique needs of each client. Francesca clerked for the Honorable Andrew L. Carter, United States District Court for the Southern District of New York, after working for another major New York-based law firm. During law school, Francesca was a judicial intern for the Honorable Ronald L. Ellis, United States District Court for the Southern District of New York. Since 2010, has served as litigation counsel to Irving H. Picard, the Securities Investor Protection Act Trustee for the global liquidation of Bernard L. Madoff Investment Securities LLC (BLMIS), actively involved in the worldwide investigation and asset recovery efforts seeking billions of dollars from some of the world's largest banking institutions and feeder funds. Helps coordinate the research and testimony of expert witnesses and consultants in BLMIS-related litigation, and is involved in the development of new rules defining the role expert witnesses should play in these litigations. Served on a large team that represented secured lenders involved in financing transactions during a bankruptcy matter. Researched case law, reviewed documents and helped produce discovery. Worked on privilege logs, assisted with interviews of company executives and prepared statements for use in depositions. Attended the depositions of the executives, as well as those of financial experts used during the case. Represented a creditors' committee in a large bankruptcy case related to leveraged buyout transactions. Performed investigative work into various accounts at issue and drafted dispositive motions. Represented a grandparent in a visitation matter in New York State Supreme Court. Served as one of the lead attorneys for the matter and orchestrated discovery; drafted all briefs, first- and second-chaired party depositions; and prepared the client for trial. Represented a defendant accused and convicted of negligent homicide and illegal gun possession in an appeal before the New York Supreme Court Appellate Division, Second Judicial Department. The matter was ultimately heard before the New York State Court of Appeals.